Test automation is one of the most cost-effective and time-saving methods to test software products with long maintenance cycles. However, if you are wondering which tool will best suit your testing requirements among the crowd of automation testing tools available in the market, this article will help. Here's a list of top 10 automation testing tools which can help you meet your testing objectives perfectly. TestDrive helps in rapid automation; it effectively tests browsers and even legacy applications apart from GUI's like Ajax, Java, Flex, and Silverlight. 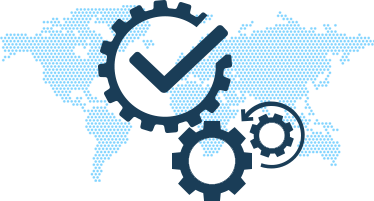 Outsource2india is one of the leading IT services companies offering comprehensive software development and testing services to global clients, including test automation. Over a decade of domain experience has taught us that there are some of the best automation testing tools available in the market, some of which are open and some available as commercial versions. We have the expertise to help you choose the most effective software testing tool(s) based on your specific requirements and effectively use these tools to meet your exact requirements. Get in touch with our software testing experts and Quality Analysts, we will be glad to assist you. We are very happy with Outsource2india.com; very serious and consistent in their work. Joseph and his team of programmers have always been there for us all the time.